Why track your clients luggage? 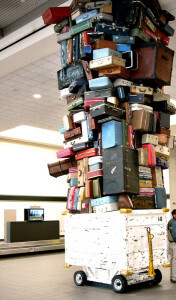 Every day in the world, a significant number of luggage is lost, stolen, or shipped to a wrong destination. And this, don’t mention the number of luggage which follow the good course, but which unfortunately end in the hands of the bad passenger (who know why the majority of the luggage are black?). Even though this is improving from year to year, 82,000 luggage is lost every day, of which about 1,000 per day for Europe alone (source: International Society of Aeronautical Telecommunications). A luggage rarely follows the same route as its owner. Intermediaries can be numerous. In addition, 1/4 of the luggage is generally processed in correspondence. They are not processed in the continuity of the recording. 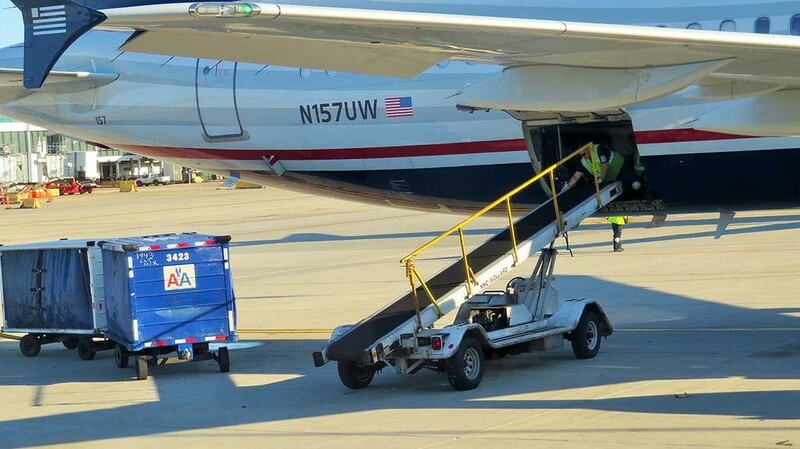 The luggage is unloaded from an aircraft and then placed in RFID tagged containers and then towed in a separate area to be sorted and then loaded into another aircraft. An additional step with new human interventions can make a mistake and lose luggage. To give you an idea of ​​the journey of a luggage only at the airport, look at the route of this suitcase equipped with a camera. This single step allows the luggage of your customers to get lost dozens of times. And a lost luggage is a disgruntled traveler, and definitely lost to your transportation or travel business. How can you help your customers lose their luggage? If you are a tour operator, the luggage tracker qrlug will allow you to offer real added value to your travelers by offering them tracking their luggage. Guaranteeing peace of mind to your travelers is certainly a commercial argument that will allow you to stand out from your competitors. By using the qrlug luggage tracker, you will be able to define exactly which provider has failed to fulfill its obligations, which will give you the exact location or error occurred, and consequently, the place where luggage Is actually lost. If you are a hotelier, this additional service will engage your customers more who will be satisfied to have access to a traceability of their luggage in the event of loss, theft or disappearance. If you are an insurer, following the luggage path of your insured will save you on the compensation paid in case of loss of luggage. You are able to find the person responsible for this loss, and you will know exactly who to return to. This will be the responsibility of the faulty provider that will be engaged. 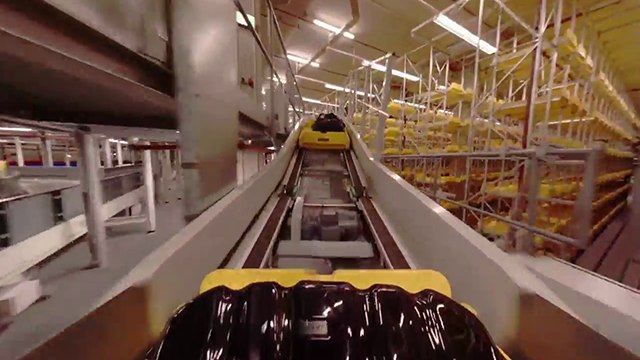 Tracking the luggage of its customers is a serious pledge of credibility for any passenger transport company. You show your customers that you really care for them, and that you do everything possible to avoid unpleasant surprises on arrival. What is more frustrating for a traveler to learn on the other side of the world that his baggage has disappeared, and that his carrier is unable to help him. This additional service will bring real added value to your transport service. By offering a tracking solution to your customers, you also offer them peace of mind. An additional guarantee of serene travel. Are the connected trackers reliable? There are lots of luggage trackers connected. But who says connected device also says worries related to computers or electronics. No electronic device is 100% reliable. On the one hand, you expose yourself to computer hacking, which has exploded in recent years. All companies are affected by this scourge. Including the largest. And to tell the truth, they can not do much. Apart from trying to improve their protections until the next piracy. Increasing cybercrime is also a real scourge for any connected object. According to an IDC study, over the next two years, 90% of computer networks will have suffered at least one Internet object-related gap. And you are exposed to this risk if you use any connected gps system allowing you to track your customers’ luggage. The luggage tracker QR lug voluntarily chose to use an unconnected solution to provide an additional level of security to the users. QRlug also has the advantage of being able to be used very simply. No connected items or expensive equipment to buy. You can now offer your customers to track down their luggage with a simple smartphone. This means no additional or hidden fees. The qrlug luggage tracker is not connected, and therefore protects you from computer attacks. Cyber ​​criminals are increasingly numerous and are targeting all targets. A connected solution is therefore much less reliable and is much more exposed to this growing risk. By using qrlug to track your customers’ luggage, you are assured of being able to find the provider responsible for the loss or handling error. If you are insurers, you can find the real person in charge and return you against him in case of heavy compensation due to one of your insured. The qrlug luggage tracker is an excellent calling product for your passenger customers. You give them extra security to keep track of their luggage, and you allow them a more serene journey. We are cheaper than our competitors. The majority of our competitors’ trackers are connected objects. And that says connected objects, says technologies and manufacturing costs. The qrlug luggage tracker allows you to track the complete luggage path of your customers from their home to the arrival. Usually, airlines begin their tracking at the airport. And if a piece of luggage is lost on the way to the airport, it is definitely lost. Qrlug allows you to follow the entire luggage route. The information is completely controlled by the user. You have access to a downloadable file in XML or json format, to retrieve all the information entered by your customers, and you can use them to import them into your own database. The services usually offered by airports are not infallible. The luggage trainer qrlug provides additional security compared to other baggage tracking systems, which suffer 30% defects due to the numerous handling of luggage. The luggage tracking serce qrlug is usable by everyone, but the person who decides to use qrlug finds himself involved in the luggage tracking chain.